There have been scores of new regulations handed down since President Trump assumed office, and a new bill governing the H1B employment visa, introduced this week into the House of Representatives, could have sweeping implications for artists and arts business owners. Here’s what artists, graphic designers, and arts business owners need to know about the future of work in the United States. 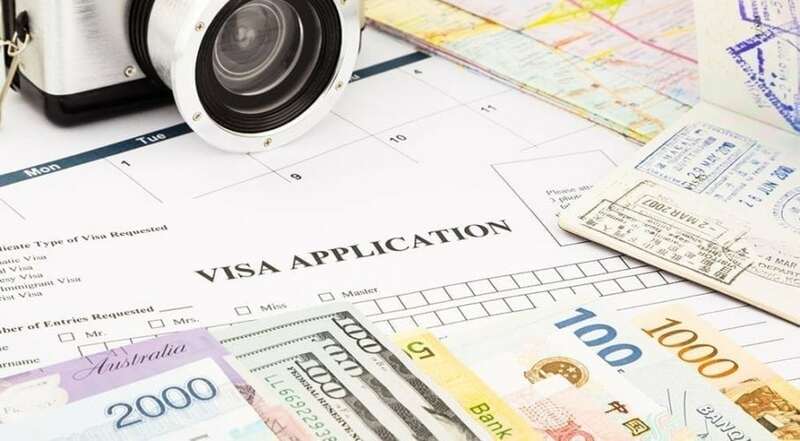 However, the new presidential administration is seeking to curb the H1B visa requirements to make it more difficult for companies to hire foreign workers. Proposed by several Republican leaders, the new rules would more than double the minimum salary requirement for H1B workers, if the company is an H1B dependent employer. An employer is considered to be H1B dependent if more than 15 percent of its workforce is working under an H1B visa. Currently, to qualify for an H1B visa, a company mist be willing to pay a qualifying worker a minimum salary of $60,000 annually. Under the new regulations, companies would be required to pay a minimum of $130,000 annually. The vast majority of workers who currently hold H1B visas are technologists, with over 1 million workers coming specifically from India. In fact, tech giants like Google, Microsoft, and Apple employ millions of foreign workers who possess highly skilled knowledge of technological processes. If these companies were required to augment salaries for its employees on H1B visas, it’s possible that it would raise the price of our favorite technological gadgets. Of course, there’s a lot more to lose here than cheap iPhones and laptops. A lot of workers who receive H1B visas are also artists – graphic designers, videographers, and writers. As a result, many of these creative jobs may be in jeopardy, especially given the high salary requirements required under the new proposed legislation. Many of these types of jobs already remain vacant because there isn’t the right talent available in certain geographical locations or, in some cases, U.S. workers are just too expensive for some companies. Imagine if a company could not afford to hire local workers or local workers are just not available but the company could also no longer afford to hire foreign workers due to the salary requirements. Would these companies be forced to use freelance workers abroad instead of having in-office employees? Luckily, technological advances, such as video conferencing and screen sharing, have made it a lot easier to hire workers living overseas although having multiple workers living in different locations and time zones can be challenging. The difficulties are more pronounced with young workers, who are still in the learning phase of their careers, often need more training and handholding to develop their skills. Despite being more difficult, many companies would likely take the foreign freelance worker route to reduce overhead, which will require redefining the type of relationship a company has with its workers. If you’re a foreign artist looking for independent contractor work or an art business planning on hiring foreign creative workers, you’ll need to be careful as to how you structure your working relationship. A U.S. company might want to hire someone in Argentina or India, or the company may want someone for an out-of-country temporary position that may last a year or 18 months rather than a few short weeks working on a short term project. In the U.S., employers must report employee income or freelance payments to the IRS and withhold federal, state and sometimes city taxes. If the worker is an employee, then they also must make contributions to Social Security we well as pay into the state unemployment insurance and state workers’ compensation insurance. Most foreign countries have similar laws to those in the U.S. for reporting payroll. Just because those employees are in another country does not alleviate the companies responsibility for reporting income to foreign governments. More importantly, just like in the United States, there may be steep fines or even criminal liability for not reporting income. Managing foreign legal requirements can be difficult, especially for small creative companies that have no presence in the foreign country, such as where a satellite office has a number fo employees. Many creative businesses are local, such as advertising agencies or web design companies and not understanding the ramifications of hiring foreign citizens in other countries could have significant ramifications. It is important to check the employment laws before hiring as there are often exceptions. For example, in the UK and Thailand, a company that doesn’t have a permanent establishment locally or doesn’t have some presence in those countries, can hire and pay local workers without making local withholdings and contributions. The worker will bear the burden of tax and social security filings as if self-employed or a short term freelance worker. Nonetheless, reporting is still required. Other countries, such as France, allow foreign companies with no local offices to make special “payroll only” registrations where third-party payroll services can pay taxes and social security to the foreign workers without actually having to open up a company in that country. 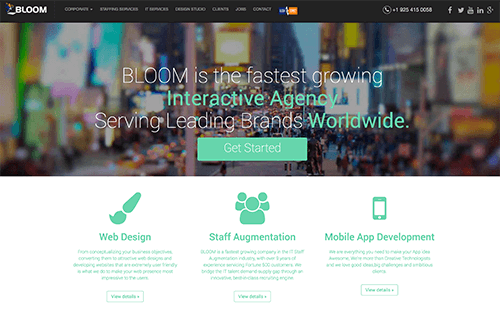 Another option, especially if these new regulations force local creative businesses to hire several employees or contractors from abroad, is to use offshore staffing services, such as Bloom. In this scenario, the hiring company chooses its employees, which Bloom or some other agency would hire. The hiring company pays Bloom for their service and Bloom handle the local payroll and any other legal requirements of the foreign country. Alternatively, a company could always hire a firm rather than individuals. However, this approach is usually expensive, negating any saving made from hiring abroad. Finally, the company can always just hire independent contractors, however, this would only work for short projects rather than long-term relationships as there is a consensus around the world that if they are performing as employees, then they are employees regardless of how the company classifies them, and so they are subject to the local payroll taxes by paid by the company. The independent contractor status is derived by actions, not words. So simply signing an agreement that states that the relationship is an independent contractor relationship won’t necessarily be enough to prove as such in a court of law. In order to avoid these kinds of liabilities, your company will need to properly structure the relationship and adhere to the law of the place in which the independent contractor or employee is located. So if you’re a U.S.-based arts business owner contracting a graphic designer in Italy, Italian laws will govern your relationship. While laws do vary from country to country, there are some broad guidelines for properly implementing this kind of relationship, as they do tend to be similar in scope in almost all nation states. Exclusive and independent: Does the independent contractor have other clients, or does his work revolve around this sole foreign client? Does the contractor market their services to the public? Short-term employment: Is the length of the relationship defined as temporary or short-term? Does the relationship get renewed automatically or frequently? You may have an issue if the relationship persists for longer than a certain period of time. Supervision: Do you perform tasks with minimal supervision or direction? Do you have particular rules that you need to adhere and are overseen by the business owner? Do you have to undergo performance evaluations? If so, you may be considered an employee under a court of law. Self-scheduling: Do you set your own schedule, completely autonomous of your employer, or are you required to keep certain hours and log your time? If your hours are set, you may be an employee. Autonomy: Do you decide what you’ll work on when? The order in which you perform certain tasks? Or does the employer leave it up to you to determine when you’ll complete certain aspects? Business expenses: Does the independent contractor pay their own business expenses and maintain their own equipment? Supplies like internet, art goods or software that are provided by the business owner may constitute an employee relationship. Extra pay and benefits: Independent contractors should only be paid for the work they’re actually doing. Whether they charge by the hour or the task is irrelevant, so long as they don’t get extra pay, such as paid time off, bonuses, health or life insurance, and other awards. Business risk: Who ultimately bears the loss of property or personal injury? If an independent contractor manages their own business risks, then its unlikely a court would consider them an employee of a business. Taxes and social security: Does the independent contractor pay their own federal income and social security taxes? This is often a vital issue in most countries. Business cards, email and other identifiable titles: Does the independent contractor recognize themselves as their own entity? Or do they use a company email that belongs to their employer? Is the contractor part of the business’s organizational structure? Once all of these questions have been determined, a court will decide whether a contractor is independent or an employee of the business. If you want to avoid any issues, then the wise thing to do would be to consider all of these steps carefully when outlining your independent contractor agreement. If hiring workers as independent contractors, a company must also consider the copyright of the creative work being supplied. One would think that if you hire someone to create work for you, that you are then the owner of that work. After all, you decided what you needed, and you paid for it. Unfortunately, that is not the case Unless the Independent contractor agreement is structured properly, the buyer may only be purchasing limited rights to the use of the work in a limited capacity, not the entire copyright. Generally speaking, a creator of an artistic work owns the copyright in a work. As the owner of a copyright, a creator has the exclusive power to license, benefit from, and share the creative work, and so a buyer merely receives a license, not the copyright. In an employee-employer relationship, the entire copyright is owned by the employer. However, this is not true of an independent contractor relationship unless the agreement between the buyer and Independent contractor is a work-for-hire relationship. H1B Visas are handled by the US Citizen and Immigration Service and enforced by homeland security. A work-for-hire relationship exists when a creator has been hired expressly by an employer to create a work – and even though the production of the work is technically the creator’s intellectual property, the employer becomes the owner of the end product. As such, this would mean that the benefits inherent to ownership of a copyright would transfer to the creator’s employer, and the creator would forfeit the right to claim copyright ownership of that particular work. But defining the employer relationship is often difficult to do. Strictly speaking, a person who receives a salary and has a specific contract with a company is considered an employee. But many graphic designers, videographers, and other creative professionals tend to work on a freelance basis for multiple companies, rather than having a fixed employment contract with any one company. In order to determine whether you retain the copyright in your own work as an artist, or whether you will retain the copyright in the work as an art business, a court will consider the questions prompted in our analysis of an independent contractor. Whether you work on your time and with autonomy will be critical in determining whether a work for hire relationship exists between an artist and a client. a contribution to a collective work, part of a motion picture or other audiovisual work, a translation, a supplementary work, a compilation, an instructional text, a test, material for a test, or an atlas. Since graphic art design and videography can be considered a ‘compilation’ under copyright law, foreign-based graphic designers and artists who are hired to do work for U.S. companies will have to be careful in the negotiation phase of the contract if they don’t wish to give up the rights to their work. Businesses, likewise, have a lot to both lose and gain here: on the one hand, you could structure your arrangement as a work-for-hire agreement and gain ownership over the contractor’s work. However, doing so risks a situation in which a court might consider your relationship with the contractor as an employee-employer relationship – which could leave you liable to paying their back taxes and other benefits. Just because you have an existing independent contractor agreement doesn’t mean a court of law will view it as such. Instead, you’ll need to be doubly sure that the agreement that you’ve laid out explicitly states the type of relationship you have, which should be followed by a relationship that follows the best practices outlined above. Similarly, your contract should be free of any non-compete clauses (meaning the contractor will be free to engage in similar activities with businesses in your sector), scheduled work hours, performance evaluations and any other provision that seems like it belongs in an employment agreement. You should also consult the local laws of the country from which you are hiring your contractor so that you can be sure of the proper language required to maintain or transfer copyright ownership as well as taking into consideration the laws of the country in which the contractor is located, incorporating similar provisions into your agreement. For example, if Italian law requires freelancers to have their own permanent tax account, your agreement should state that your Italian independent contractor has his own permanent tax account. Similarly, the agreement should outline that Italian laws will govern your relationship since the independent contractor will be bound to adhere to those laws. In addition, your contract should have some safeguards in place to ensure that any issues that might arise with your foreign independent contractor. Contractual indemnities that stipulate who will cover certain losses, hold-harmless provisions that eliminate any potential liabilities on your behalf, and remedies that could kick in if a court does, in fact, conclude that an employee-employer relationship exists would all be beneficial clauses to include in your independent contractor agreement. Have you had any experiences with H1B visas? Let us know in the comments below.